Is the skin on your neck looking a little loose, crepey or saggy? Treating and conditioning the neck is often overlooked, even though it is one of the first places that show the signs of aging. Why does our neck age so fast? This is because the skin on your neck is thinner and more sensitive than the skin on your face. It has fewer sebaceous glands and the neck muscles are not supported by any bone structure. Over time, aging, environmental damage, and neglect lead to dry, crepey skin and your neck is prone to sagging. Can I fix my neck? Transforming the look of your neck can be done with non-invasive procedures depending on the laxity of the skin and the overall look you want to achieve. Fresh Faced Skin Care has developed a treatment protocol for the neck and décolleté that achieves results in two months without surgery or injections. • Apply broad-spectrum sunscreen daily to prevent sun damage, discolorations, and further breakdown of collagen and elastin. • Use a specially formulated cream for the neck. There is a difference between the skin on your face and the skin on your neck. Look for neck creams with peptides and antioxidants. • Gently exfoliate the skin twice a week. 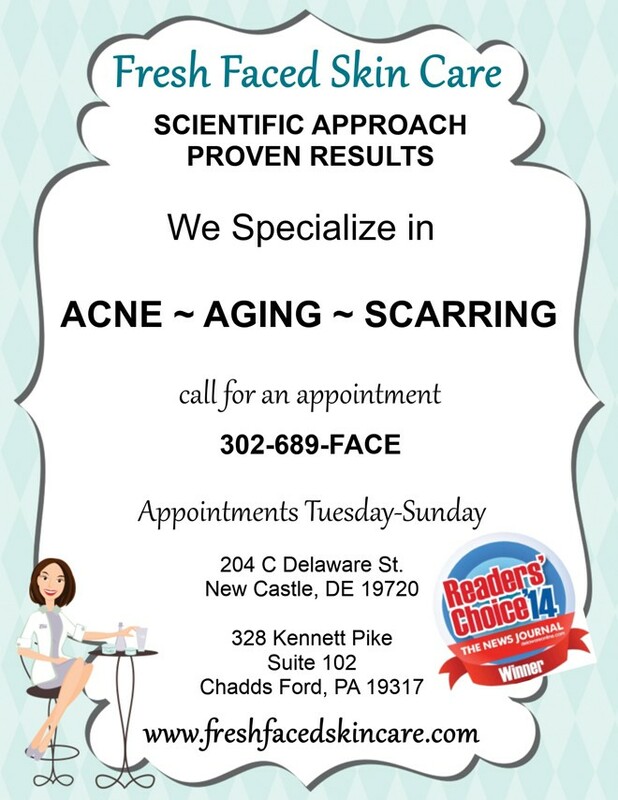 Erica Suppa is the owner of Fresh Faced Skin Care, an advanced skin care clinic with locations in North Wilmington and in Historic New Castle. Erica has more than a decade of experience in the healthcare industry as an esthetician, skin care expert, and research scientist. She offers a unique approach to skin care by utilizing her scientific knowledge of skin care ingredients and how they interact with the skin to achieve phenomenal, lasting results her clients have been searching for. Next Story → Design Your Own Ring! Have Fun! Let Your Imagination Run Wild!